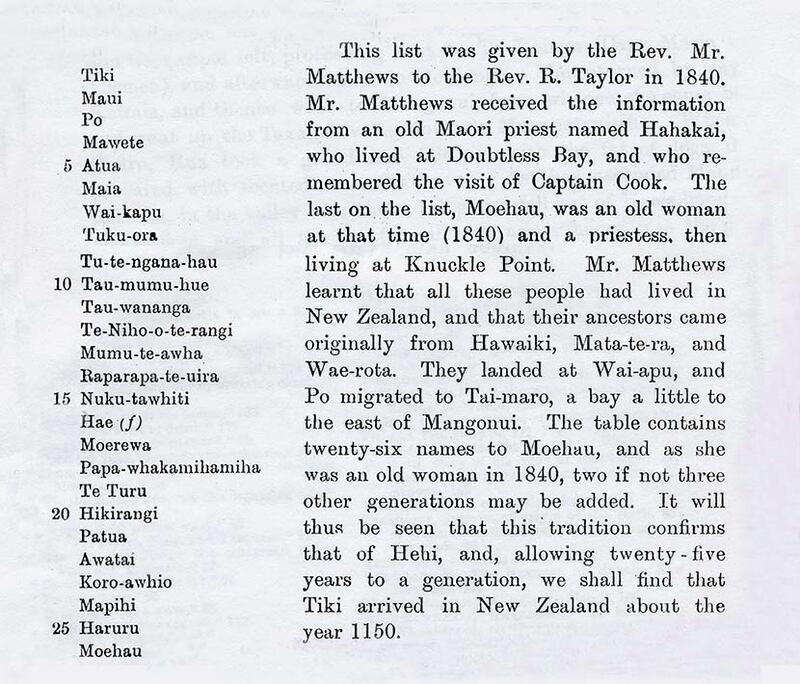 This extract from the Journal of the Polynesian Society of 1896 shows how the 19th-century ethnologist Percy Smith used genealogy, in this case from the Ngāti Whātua tribe of Kaipara, to pinpoint the date of Polynesian arrival in Northland. Smith believed oral lore could be used to determine a date for the first human settlement. Māori viewed genealogies as a way of maintaining an enduring relationship with both the land and those who came before them, not as a dating technique.